How does Real-Time Personalization work? What is the ‘+RTP’ Designation? What if I'm not familiar with genetics? Who can create an app with Real-Time Personalization? 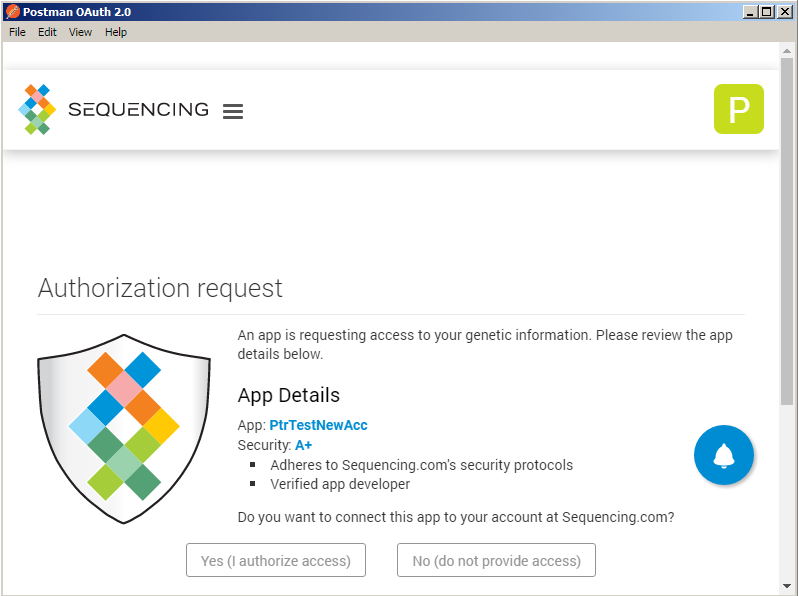 This Overview section provides a developer with information about using the Sequencing.com platform to develop apps using the Real-Time Personalization® (+RTP) API. Real-Time Personalization® (+RTP) is a web service technology that enables software applications (apps) to provide context to data. Context refers to an app having the ability to comprehend the uniqueness and individuality of each app user. 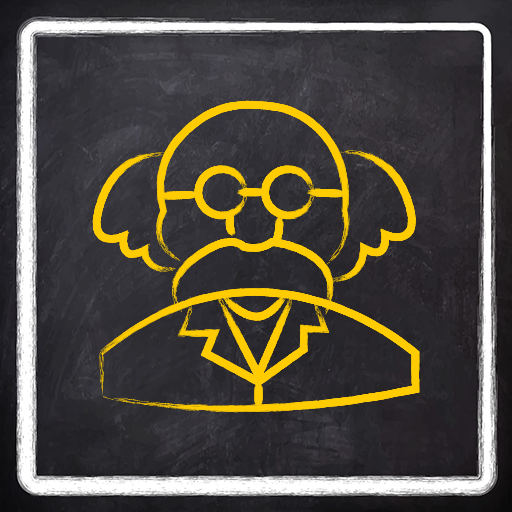 In essence, the app is able to become cognizant of the app user as a unique individual. Empowered by patent-pending Real-Time Personalization® technology, apps can now implicitly understand whether data is relevant to the user as the data is generated in real-time. And with an app’s cognizance of the user comes the ability for the app to provide a truly personalized experience. The Weather My Way +RTP app is available in both the Apple App Store and Google Play. 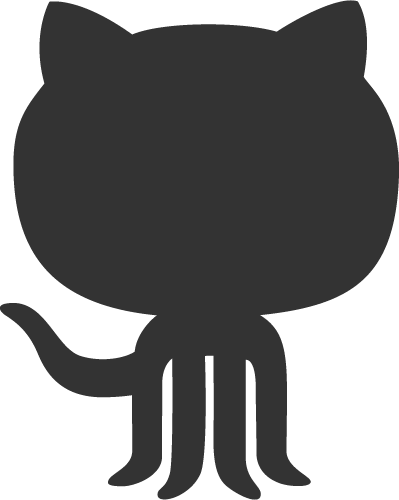 The open source code is also available on GitHub. Real-Time Personalization technology utilizes the most fundamental factor that makes each of us unique - our genes. 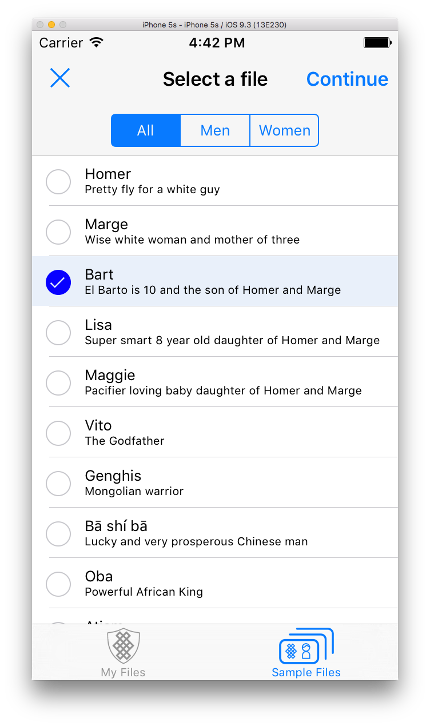 Sequencing.com’s Real-Time Personalization (+RTP) technology allows your app to obtain genetic-based information about the app user by making simple API calls to Sequencing.com. 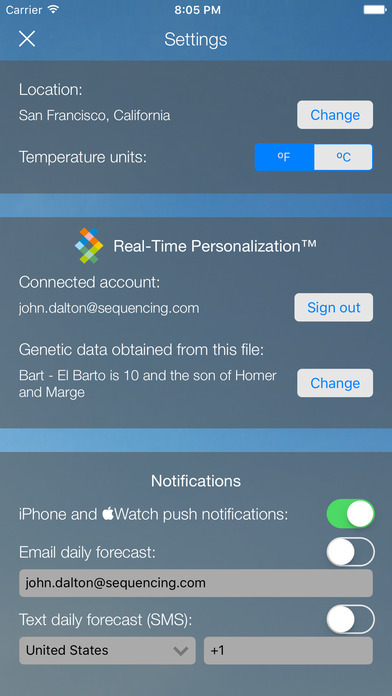 The +RTP API enables your app to provide a personalized, gene-based user experience. Adding +RTP to your app is easy. You don't need to know anything about genetics and you also don't need to learn any new coding languages. Most responses are simple "Yes" or "No"
Through this approach, app developers can easily create personalized apps simply by utilizing Sequencing.com’s straightforward open API. +RTP API plugins and code snippets are available for multiple languages and platforms and their number is constantly extended. App Chain88 determines whether the app user is likely to benefit from taking a Vitamin D supplement. 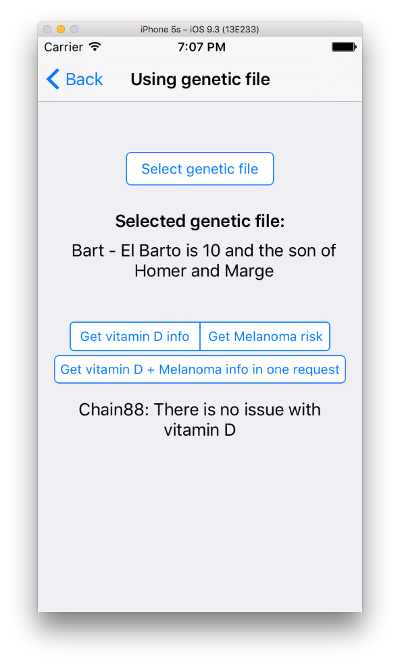 Your app will submit an API request for Chain88, Sequencing.com will perform ultra-rapid genetic analysis of the app user's genes. You code your app accordingly so that the user experience is tailored to the possible API responses. 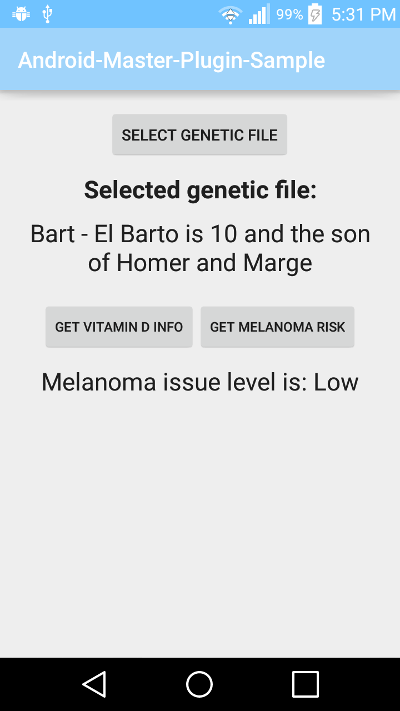 Your app now provides a genetically tailored user experience to the app users genes! +RTP is a designation awarded to apps that are developed with Real-Time Personalization technology. An app can be created by any developer and made available on any platform or operating system. 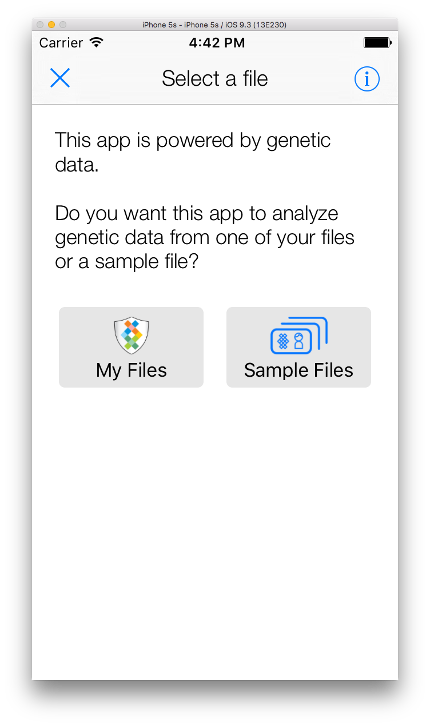 If you already have an app that processes or uses genetic data and are interested in having your app appear in Sequencing.com's App Market, please register for a Sequencing.com account and submit a Support Request with information about your app. If you're interested in using RTP technology to create an app for any platform, including iOS, Android, Linux, Windows, and Web, please register for a Sequencing.com account and then visit the Developer Center, which provides quick access to developer resources. You can still easily integrate RTP into your own apps. This is because RTP technology was created so that it can be used by software developers regardless of their background or knowledge about genetics. For those concerned about learning yet another new coding language, we hear you - we understand that you’re tired of learning one new language after the other. 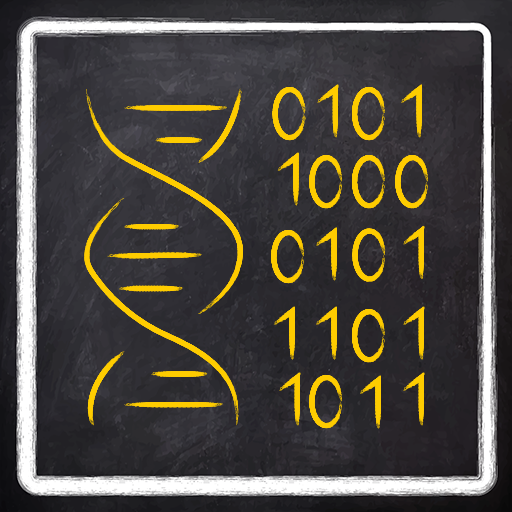 But fear not as we RTP translates genetic data into software code so that you don't have to learn anything new. If you know how to use REST APIs then you can integrate RTP into your apps in a matter of minutes. 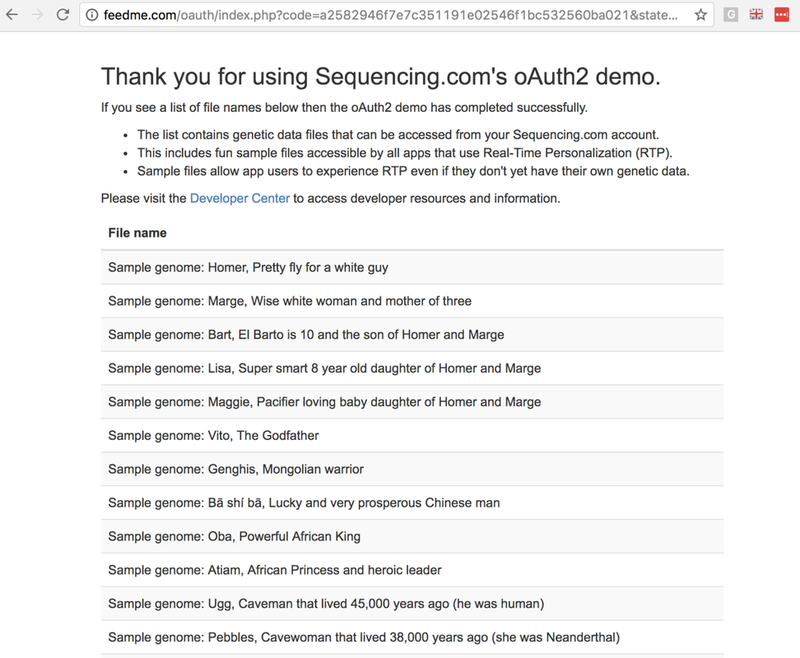 Sequencing.com’s Real-Time Personalization (+RTP) API is free for development use. App Chains enable app developers without any experience or understanding of genetics to easily and quickly add genetically-tailored personalization to their apps. Each +RTP API call is defined by a specific Chain#. When Sequencing.com receives a +RTP API call for a chain#, it knows (based on the chain#), which disease, trait or medication reaction to analyze. Sequencing.com performs the genetic analysis on the app user's genes and provides straightforward results as the API response. You have an idea for a new iPhone App that uses Apple’s Healthkit to help prevent heart attacks. You’re interested in adding personalization to this app but you don’t know anything about the genes that cause a heart attack. Simply search the list of App Chains and you'll find Chain73 is for heart attack risk. Add Chain73 to your app (its easy with the Objective-C or Swift +RTP API Master Plugin) and indicate the action that will trigger your app to make this API call to Sequencing.com. For example, the action may be if app senses via GPS that the user walks into a restaurant that sells unhealthy food or if the app senses the user's heart rate exceeds 100 beats per minute. As the developer, you also code how your app responds to the possible responses for each App Chain. 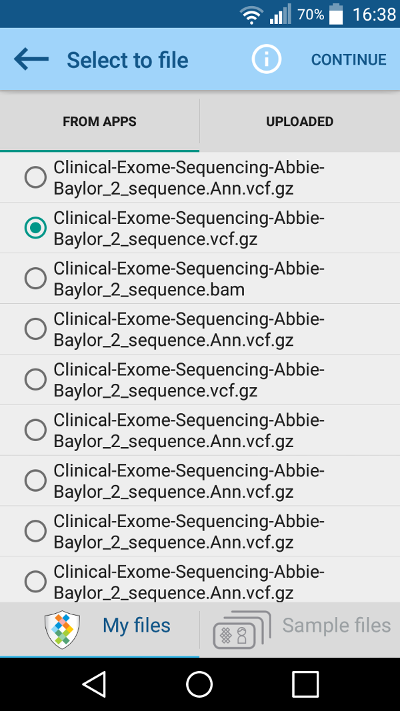 When the user downloads your app from the App Store, she sees the option to 'Sign in with Sequencing.com.' 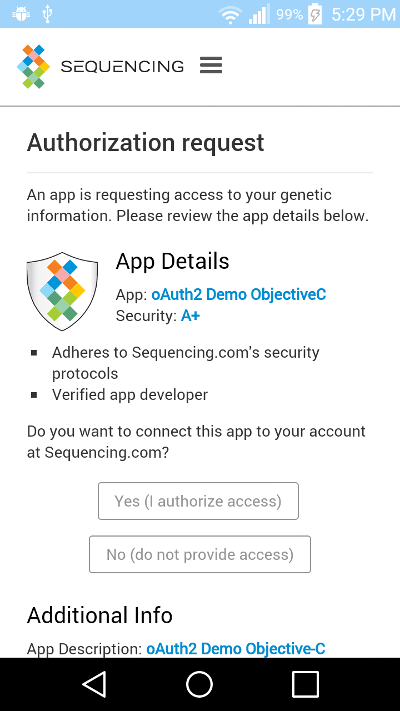 The user already has her genetic data safely stored at Sequencing.com so she signs in with her Sequencing.com credentials and authorizes your app to connect to her genetic data. Her app will then remain connected to her genetic data at Sequencing.com unless she revokes access. 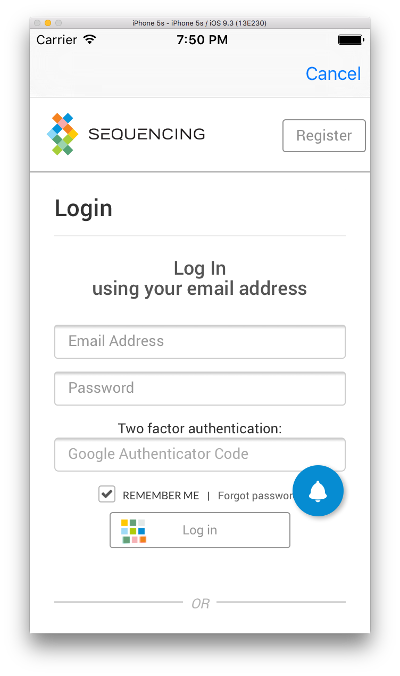 While the user has the option to revoke access at any time, most users connect an app to their Sequencing.com account once and then leave it connected. The next day the user feels hungry and is passing by a McDonalds so she walks into the restaurant. Your app detects via GPS that she just walked into a fast food restaurant so the +RTP API is triggered and an API call for Chain73 is sent to Sequencing.com. Sequencing.com returns an almost immediate response that the user's genes indicate she has a 'Very High' risk for a heart attack. Your app sends the user a push notification that she should strongly consider a different restaurant and identifies several nearby restaurants that would be much better for her health. A different user of your app also walks into McDonalds around that same time. Your app sends a +RTP API call to Sequencing.com for Chain73 and, for this user, the response is 'Slightly Increased risk' of a heart attack. Instead of advising the user go to a different restaurant, your app sends a push notification to the user that identifies healthier options on the McDonalds menu for the app user to consider. By customizing your app based on the results of the +RTP API, your app is able to provide a truly personalized user experience to each app user. And since the +RTP API returns responses in milliseconds, the personalization can occur in real-time. We make it easy for all app developers to add Real-Time Personalization into their apps. And to make app development as straightforward as possible, this documentation is divided into two categories: one for App Developers and the other for Bioinformatics Experts. Sequencing.com’s GitHub repositories provide free access to the code of a growing number of open source apps that use RTP technology. Add RTP to your app hosted on any platform. All development is free. Plugins and Code Snippets enable you to quickly add Real-Time Personalization to any app. Visit the Developer Center for documentation, tools, plugins and demos. Add your script or app to Sequencing.com's App Market. You own your code. We make it available to a global community and handle marketing, cloud computing, bandwidth, security and payment processing. Submit a Support Request for additional information. If you have a great idea for an app but no coding skills, submit a Support Request and we'll connect with an app developer through the Sequencing.com community. Are you down with RTP? 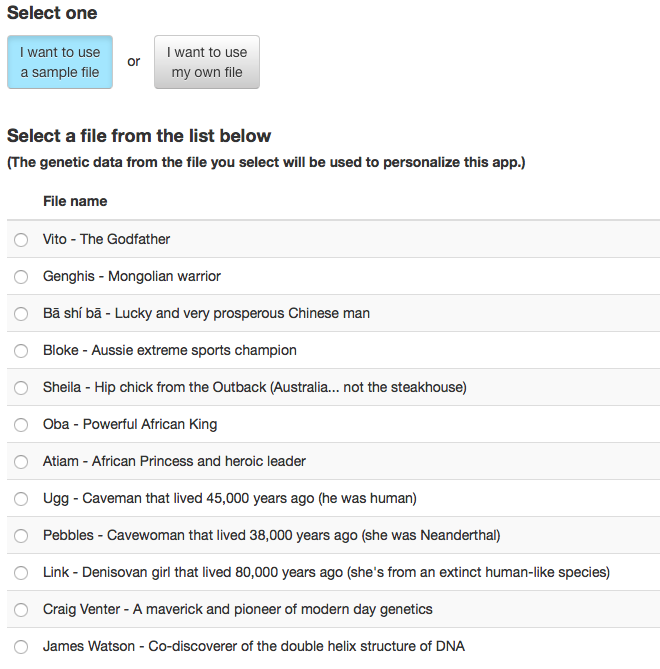 Interested in competing to create innovative apps that use Sequencing.com's Real-Time Personalization (+RTP) API? Want to be at the forefront of a new technological revolution? Sequencing.com's Hack the GenomeTM hackathons will allow you to show your skills to the world, receive financial backing and IT support to implement future apps and win some amazing prizes. Hack the Genome 2 is co-hosted by Microsoft, LifeNome and Sequencing.com. The two-day competition will take place at Microsoft's offices in Times Square, New York City on December 2-3, 2017! 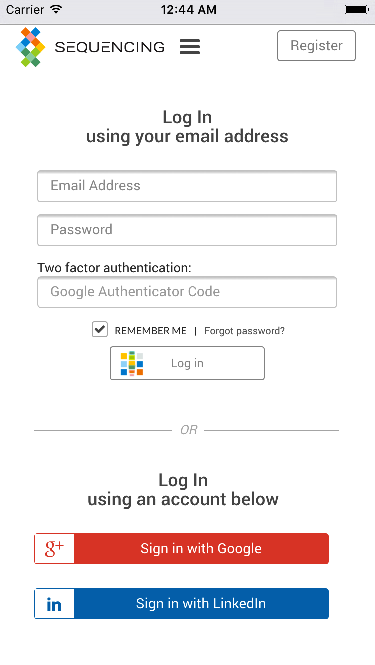 To add Real-Time Personalization to your app, simply log in to your free account and then visit the Developer Center. Registration and development (up to 5,000 API calls/app) are free. After 5,000 calls your app status changes to production, which costs $0.03/call. Monthly and yearly plans are also available. Interested in developing apps that can access the app user's genes and provide them with truly personalized user experiences? 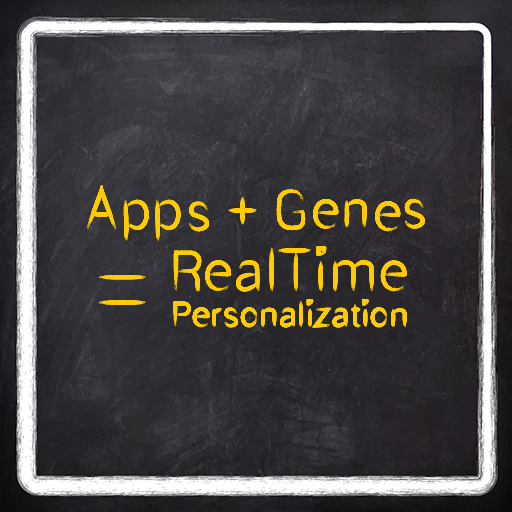 Sequencing.com's Personalization®​ technology adds the ultimate Personalization to your software apps... a personalized user experience delivered in real-time that's based on each app user's genes. We accomplished this by translating the genetic code into software code and making it available to you as simple APIs called App Chains. The following section defines key terminology and concepts. 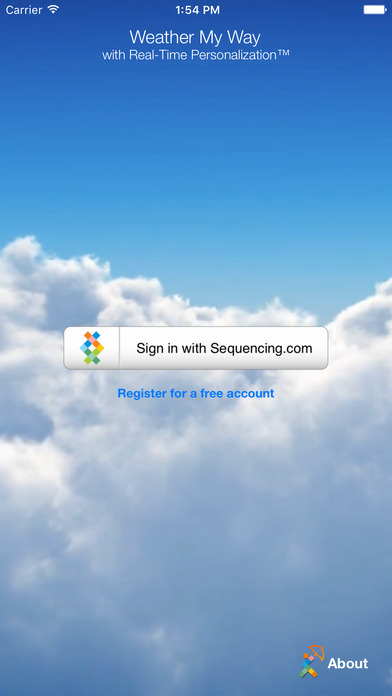 People who have registered for an account at Sequencing.com. A sample file consists of genetic data for a person that is made available to all users. For example, one sample file is the genome of a famous scientist (Craig Venter) and another sample file is the genome of a caveman that lived 45,000 years ago. 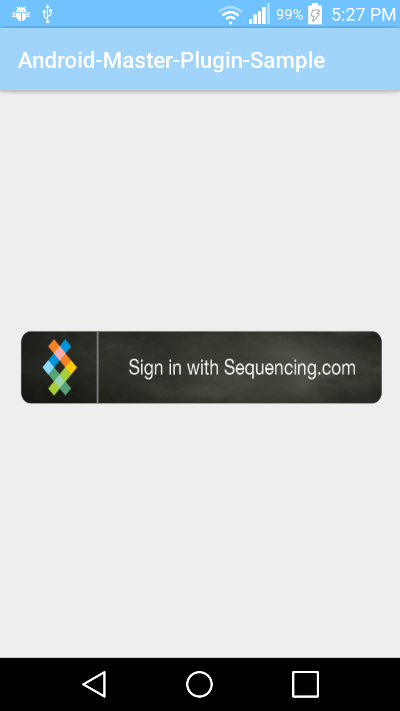 Apps that are hosted by Sequencing.com and run on our servers. They can be coded in a wide variety of languages and can choose to use our APIs. These apps can be accessed by signing into Sequencing.com and searching through our App Market. Apps that are hosted elsewhere, such as your server or mobile devices. These apps can be coded in any language and leverage Sequencing.com's technology through our open APIs. 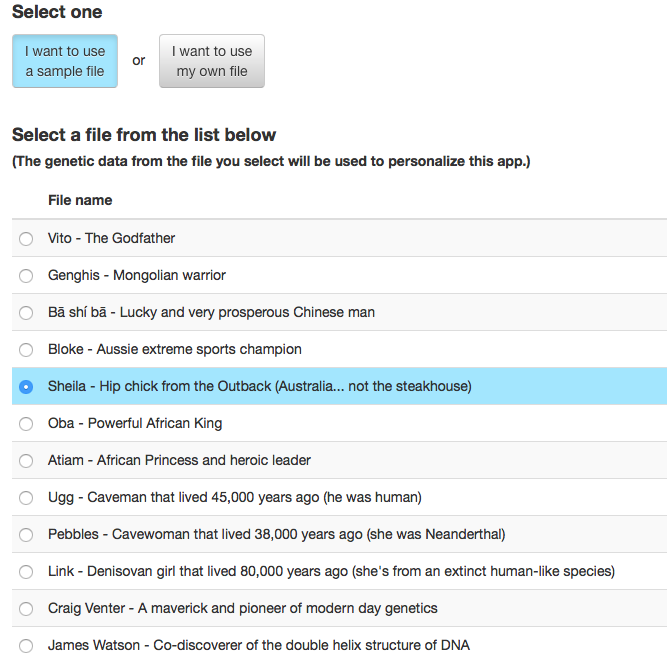 An app chain includes an API call and an analysis of genetic data. The API response, which is obtained when using an app chain, provides straightforward information that is based on the genetic analysis. For example, an App Chain for heart disease risk will analyze the genetic data of an app user and return an API response that the app user is at increased risk of heart disease. The app can be programmed to provide information that is tailored to a user who has an increased risk of heart disease, such as guidance about how often the user should exercise. Combining App Chains with data from sensors in a mobile device can also be helpful. For example, if the accelerometer in the mobile device identifies that the user is in an elevator to notify the user that he or she should consider taking the stairs next time. A searchable list of App Chains can be found here. Our platform utilizes OAuth2 protocol for authentication and secure API access. 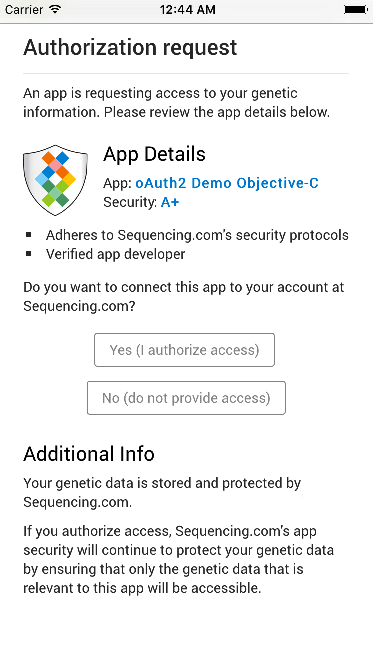 App developers who register for a free account at Sequencing.com can easily generate OAuth2 secrets for their apps. All API calls have to send OAuth2 tokens to our API before access is granted. 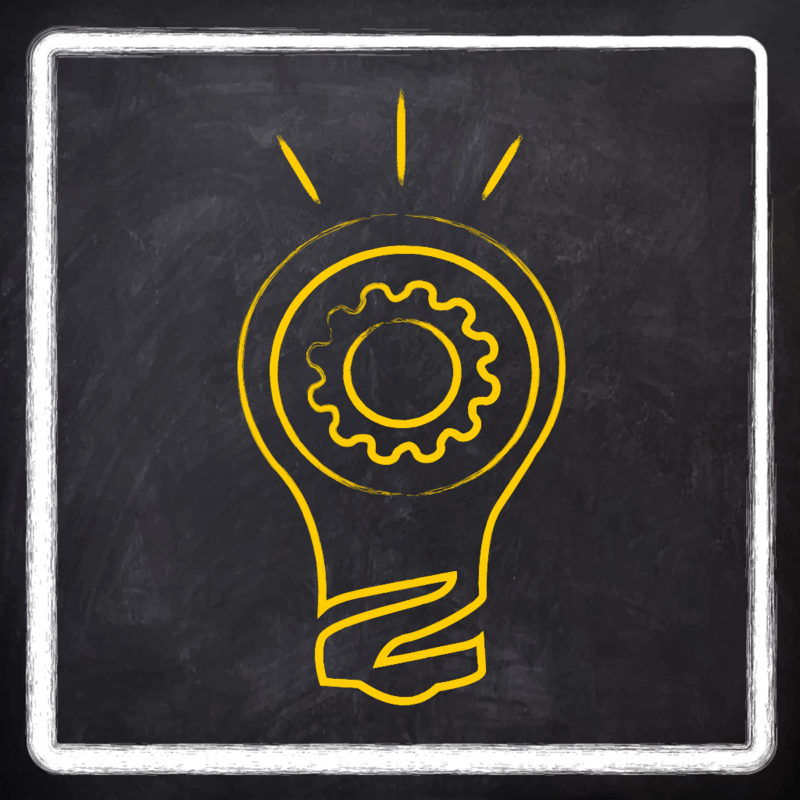 Additional information about using oAuth2 can be found in the OAuth2 Guide. This section contains references to codebases published by Sequencing.com as open source on our GitHub repository. An all-in-one plugin providing full API functionality that works out-of-the-box. Includes all core Sequencing.com APIs for rapid application development. Applications you can use as a quick all-in-one bootstrap with master plugin integrated. They work out of the box. Full-fledged open sourced reference applications developed by Sequencing.com published in Apple App Store and Google Play. The 'Master Plugin' is an aggregate plugin that includes all core +RTP APIs. It enables rapid application development. The documentation below provides guidance for integrating Sequencing.com Master plugin into your iOS Swift mobile application. 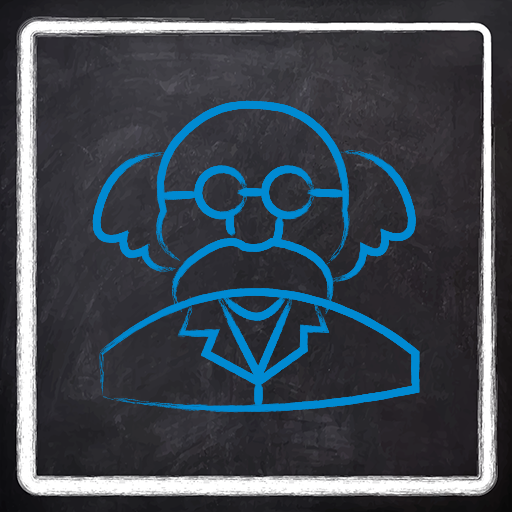 We developed a pluggable Cocoapods component to simplify adding +RTP into your mobile app. If you are new to Cocoapods, refer to the official guide. Note: you do not need to integrate any additional Cocoapods dependencies from OAuth2/File selector/App Chains guides because "sequencing-master-plugin-api-objc" contains already everything needed. 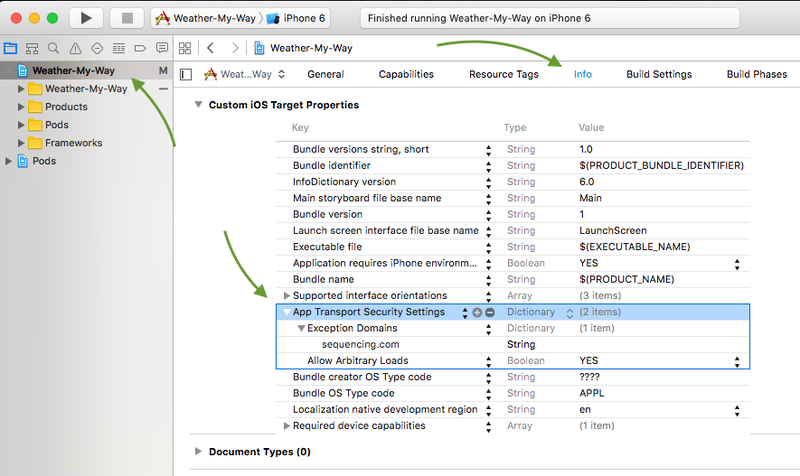 The documentation below provides guidance for integrating Sequencing.com Master plugin into your iOS Objective-C mobile application. 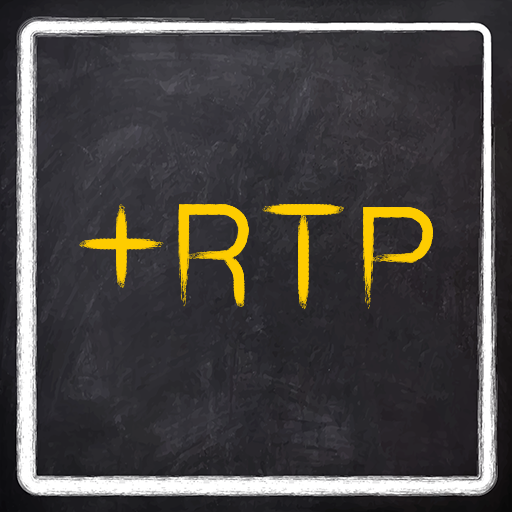 We have developed a pluggable Cocoapods component to simplify adding +RTP into your mobile app. Please note that you will not need to integrate additional Cocoapod dependencies from OAuth2/File selector/App Chains guides because "sequencing-master-plugin-api-objc" already contains everything needed. The documentation below provides guidance for integrating Sequencing.com Master plugin into your Android Java application. 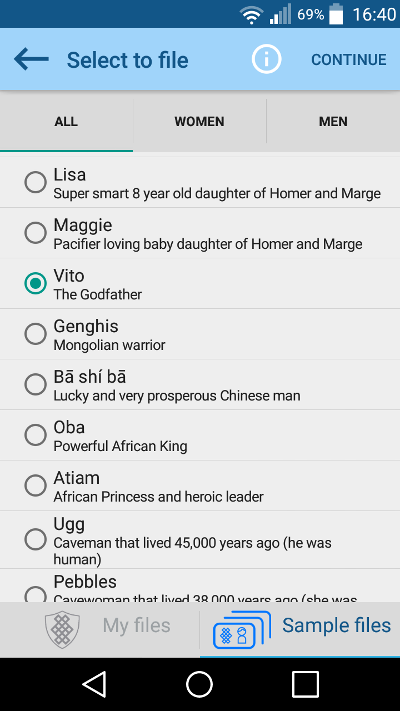 We have developed a pluggable Gradle component to simplify adding +RTP into your mobile app. If you are new to Gradle, refer to the official guide. 1) Integrate OAuth2 integration by following integration instructions from this guide. 2) Integrate file selector logic by following integration instructions from this guide. Please note that you will not need to integrate additional Gradle dependencies from OAuth2/File selector/App Chains guides because "com.sequencing:master-plugin" already contains everything needed. 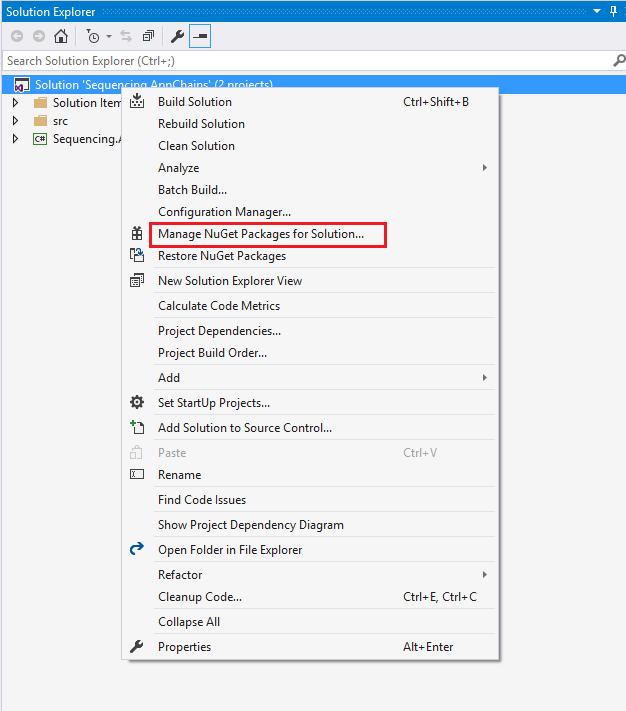 The documentation below provides guidance for integrating Sequencing.com Master plugin into your .NET (C#) application. 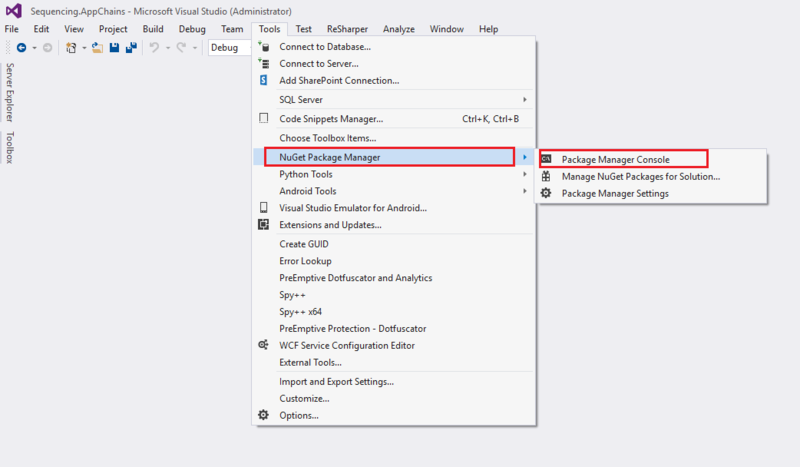 If you are new to Nuget, refer to the official guide. 2. Required components are added to the project. 3. Replace OAuth2 application secret values with your data. Open web.config and locate following configuration options as shown here. Sequencing.com's Sample Applications provide a quick, all-in-one bootstrap that includes the Master Plugin. They work out of the box so you don't even have to follow our integration guides. Clone via git and use in Eclipse or IntelliJ Idea. +RTP can be used to personalize any app. As an example, we integrated the +RTP API into a weather app to show how +RTP technology can help differentiate even the most generic app. 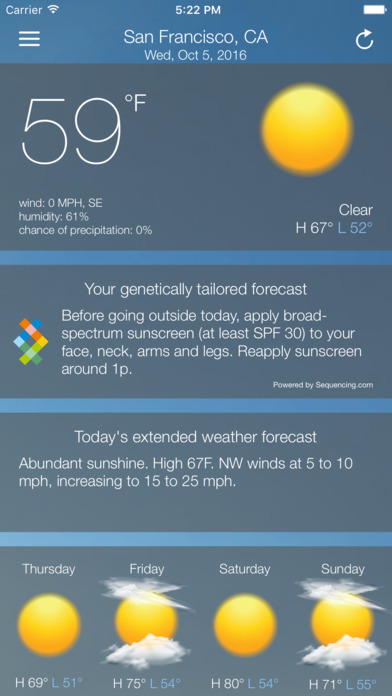 Weather My Way +RTP is an open source app that utilizes the +RTP API to provide app users with their daily genetically tailored weather forecast. 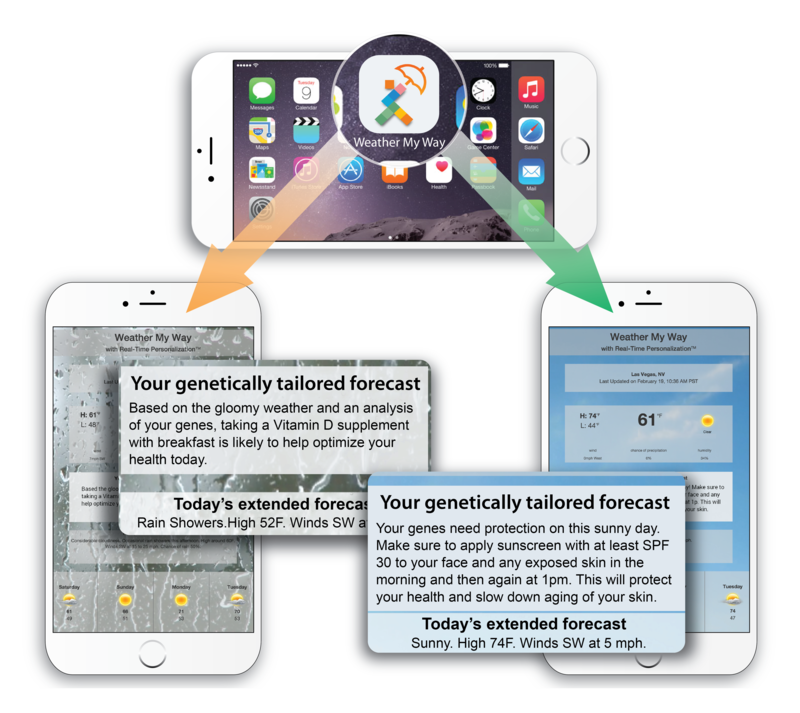 Throughout the day, Weather My Way provides personalized guidance for a healthier day by analyzing your genes and the weather, together. This is not just another weather app. 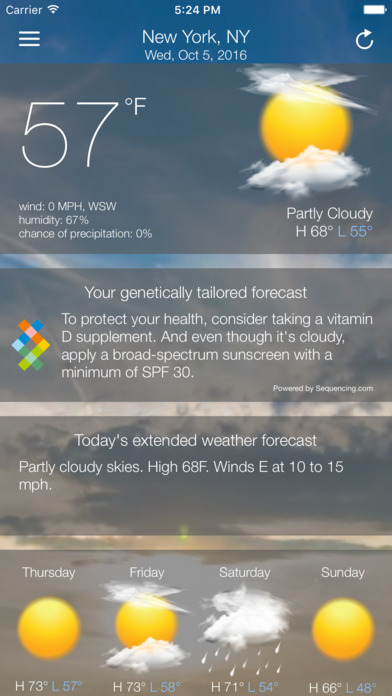 Weather My Way uses Sequencing.com's Real-TimeTM technology to securely access and understand your genes! Postman can be used to evaluate the +RTP API. Step 6: Enter URL, change type to POST and add content-type header. The Authorization header will be added by Postman. Questions? Please submit a Support Request. 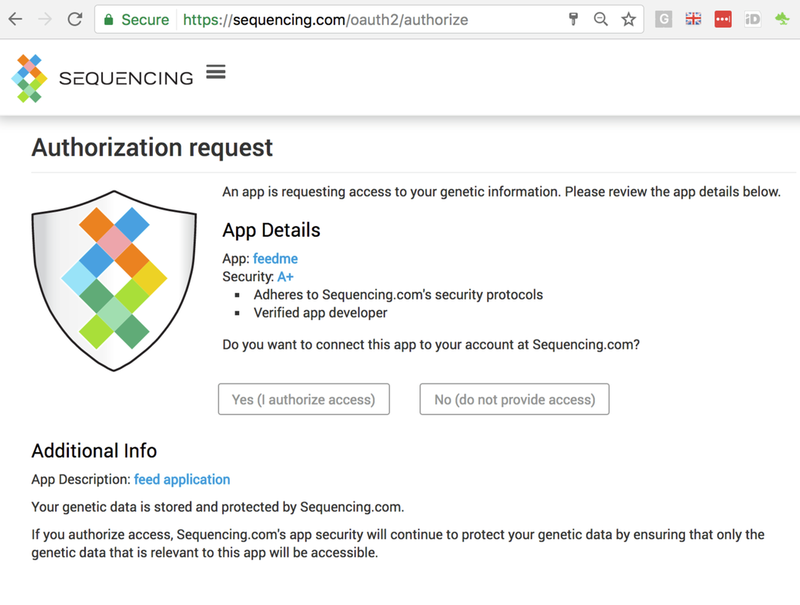 This OAuth2 Guide provides information about Sequencing.com's OAuth2 system. 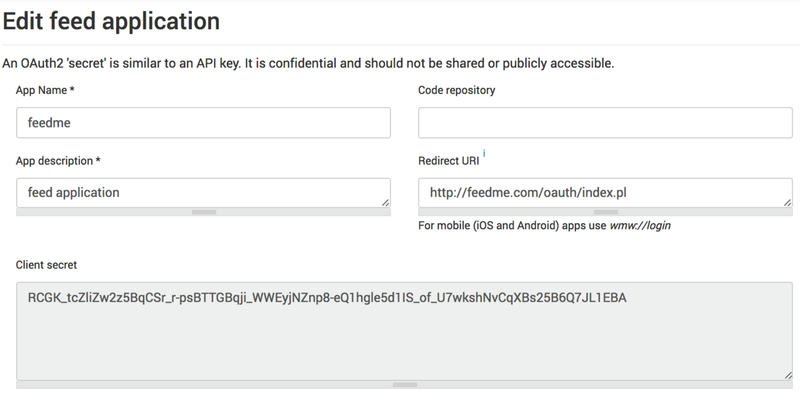 Our simple yet secure OAuth2 system is used to authenticate apps with our API. 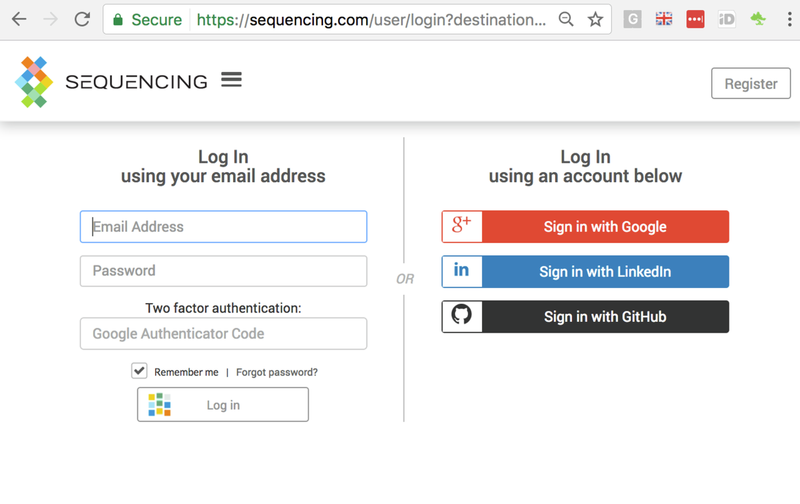 Sequencing.com uses the industry standard OAuth2 protocol for authentication. If you are interested in details, please refer to our explanation on our Github page. Sequencing.com provides libraries, code snippets / sample code and plugins for implementing Authentication and all components of the +RTP API. Please visit https://github.com/SequencingDOTcom to view our repositories and access the code. Note: if you experience any issue with Step 4, please make sure that you have added the “Authorization” header to the request. If the OAuth access token has expired, it may be refreshed by making a request to the OAuth server and passing in the expired OAuth token. Application name should be alphanumeric identifier. App Description: Provides personalized food recommendations for weight loss and health optimization based on both the user's genes and restaurant menus the user is viewing on the Grubhub, Seamless or Eat24 app. Sequencing.com provides easy to use drop-in libraries for quick integration of OAuth2 and other various APIs. 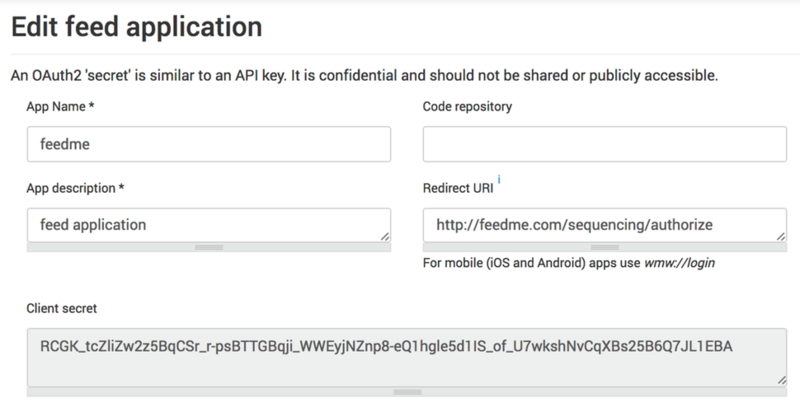 You can quickly integrate Sequencing OAuth2 authentication protocol into your project. If your language is not on the list, let us know and we add implementation for it! 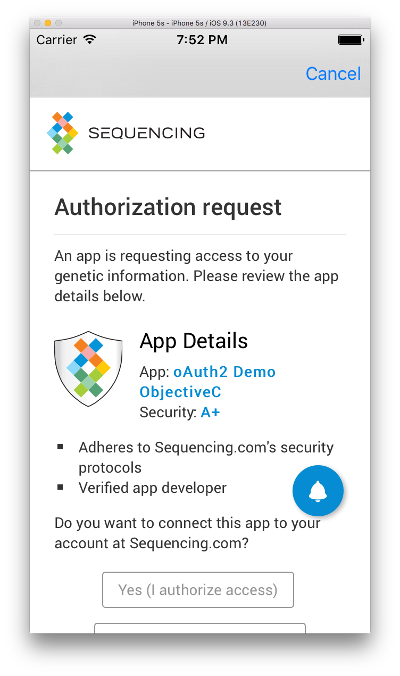 For developers interested in learning more about using oAuth2 with Sequencing.com's API, we created an oAuth2 demo with source code available at GitHub repository. Here we will show how to quickly integrate Sequencing OAuth2 harnesses into your Android/Java based environment. We have developed a Maven/Gradle component to simplify using Sequencing OAuth2 library in your project. If you are new to Maven/Gradle, refer to the official guide. 2) Specify your application parameters at AuthenticationParameters. Authorization plugin use custom url schema. 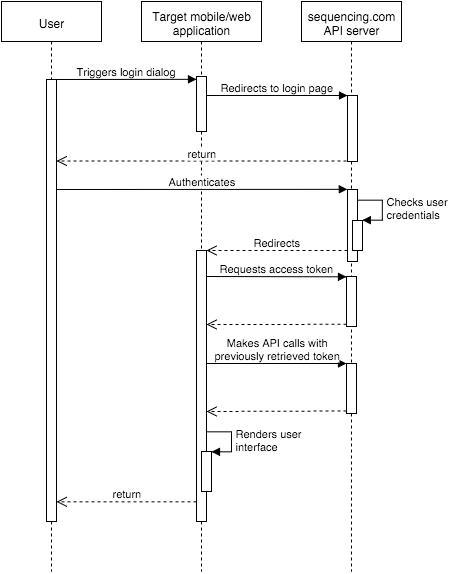 4) Create View that will serve as initial element for authentication flow. It can be a Button or an extension of View class. Do not define onClickListener for this View. Here we will show how to quickly integrate Sequencing OAuth2 harnesses into your .NET/C# based environment. 5) Now, edit configuration settings in /var/www/html/oauth/index.php so to make them conform your OAuth2 application settings. Make sure that application name, secret and redirect URL matches. From the code perspective you need to note several important variables that are needed to communicate with Sequencing backend. That one is AuthInfo that is obtained on lines 59 of Controllers.AuthWorker class. We recommend storing them in user session and keeping safe. Here we will show how to quickly integrate Sequencing OAuth2 harnesses into your JEE based environment. Complete working example of a project that has all following steps done you can find in our GitHub repositories - here for servlets and here for Spring. You can just clone it and by modifying OAuth2 related settings specified below get working project quickly. 7) Edit configuration settings in SequencingServletContextListener class so to make them conform your OAuth2 application settings. Make sure that application name, secret and redirect URL matches. After authorization is completed tokens can be accessed by following call. We recommend keeping them safe. 7) Edit configuration settings in application.properties file so to make them conform your OAuth2 application settings. Make sure that application name, secret and redirect URL matches. Here we will show how to quickly integrate Sequencing OAuth2 harnesses into your Objective-C based environment. We have developed a CocoaPod component to simplify using Objective-C library in your project. If you are new to CocoaPods, refer to the official guide. Here we will show how to quickly integrate Sequencing OAuth2 harnesses into your PHP based environment. 4) Now, edit configuration settings in /var/www/html/oauth/index.php so to make them conform your OAuth2 application settings. Make sure that application name, secret and redirect URL matches. * ID of your oauth2 app (oauth2 client). * You will be able to get this value from Sequencing website. * Secret of your oauth2 app (oauth2 client). From the code perspective you need to note several important variables that are needed to communicate with Sequencing backend. Those are $access_token and $refresh_token that are obtained on lines 102-103 of index.php. We recommend storing them in user session and keeping safe. Here we will show how to quickly integrate Sequencing OAuth2 harnesses into your Python based environment. 6) Now, edit configuration settings in oauth2demo/appconfig.py so to make them conform your OAuth2 application settings. Make sure that application name, secret and redirect URL matches. 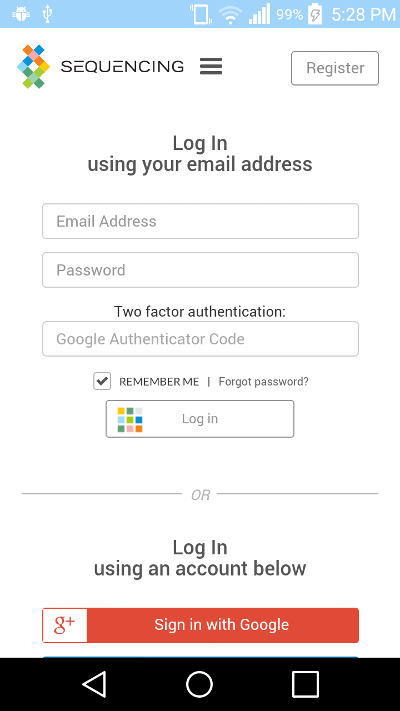 URI of Sequencing oAuth2 where you can request user to authorize your app. Id of your oauth2 app (oauth2 client). You will be able to get this value from Sequencing website. Secret of your oauth2 app (oauth2 client). must match the state you get, when browser is redirected to the redirect URI you provided. After clicking on "Yes (I authorize access)" result page will render list of sample files available in your account. We recommend storing them in user session and keeping safe. 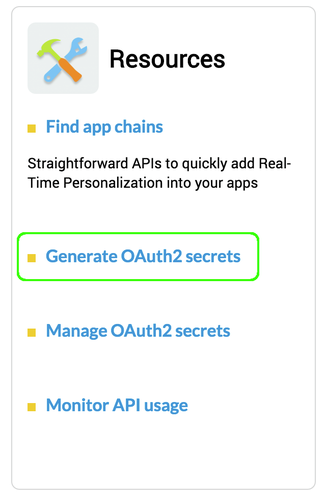 OAuth2 terminology uses the word "secret" - it's no different from a key that identifies your application. 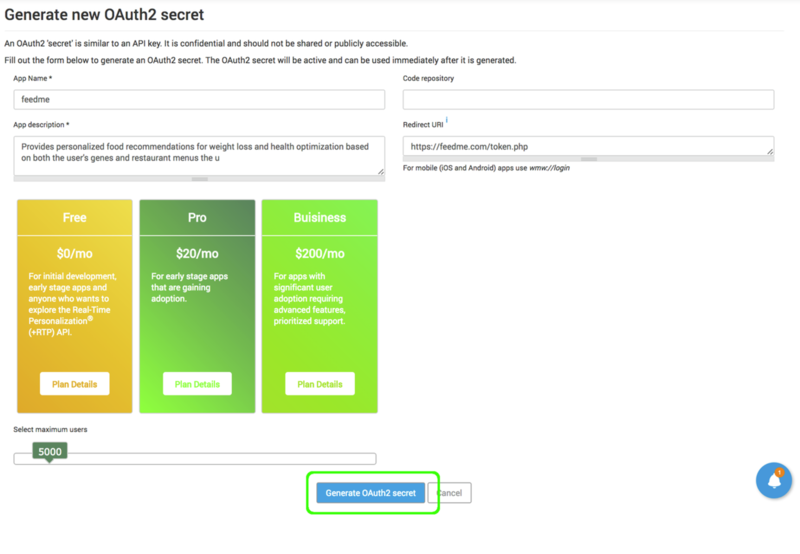 OAuth2 secrets are free for development use using the 'Free' subscription plan. When an app and it's OAuth2 secret reaches the maximum # calls it will be temporarily inactivated. under Payment Methods, select a saved card or add a new credit or debit card. Monitor usage of your secrets by clicking on Apps and then Usage. You can generate and use an unlimited number of OAuth2 secrets. Each OAuth2 secret can only be used in a single app. Using the same OAuth2 secret in more than one app is a security risk and a violation of our TOS. Swapping OAuth2 secrets from one app to another is also a security risk and TOS violation. OAuth2 secrets are confidential and should not be shared. 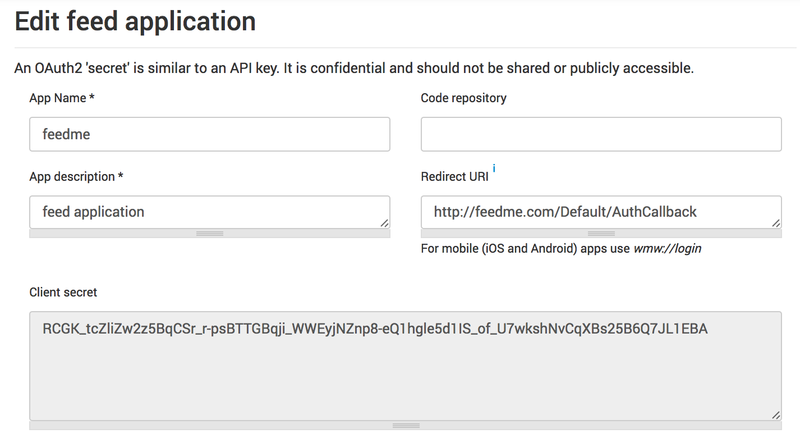 The oAuth2 Redirect URI is used as the way for the OAuth2 provider (Sequencing.com) to send secure responses to the OAuth2 user (your app). The Redirect URI is either a http or https URL. If your app is a browser (web) based app (ie will be displayed via a browser such as Chrome, Firefox, Safari, Edge, Opera, etc. ), a Redirect URI is required. Please see instructions below. The Redirect URI is the URL where the response to the authentication will be redirected. This should be the URL within your application that will receive the OAuth2 credentials. Wildcard redirect_uri values are also accepted in the request as long as the base url matches the Redirect URI that is registered at the time the OAuth2 secret is generated. The Redirect URI can be either HTTP or HTTPS, although we strongly recommend HTTPS. Interested in learning more? Check out this OAuth2 tutorial. Thanks Jakob! The Authentication URL is the URL your app should redirect the user to so that the app user can authenticate with Sequencing.com. 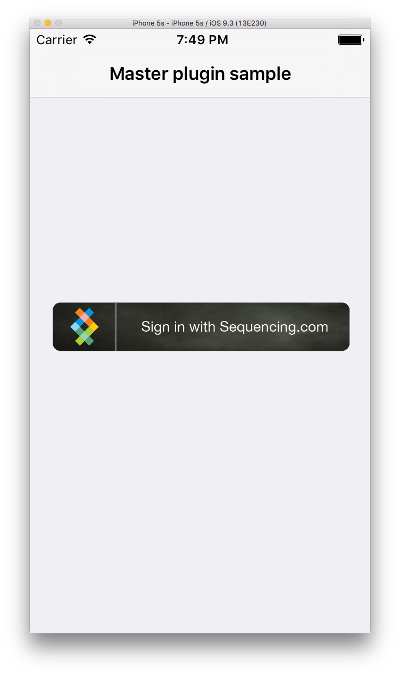 This is necessary because the user must be registered at Sequencing.com. You may use your own login during the development process to gain access to the sample files and data. If the user authentication is successful then the redirect will contain an authorization code. When the call https://sequencing.com/oauth2/authorize is made with the correct information, the oAuth token will be returned. Grab this token in your code as it will be required for all API calls. The API token must be sent with each API call made by your app to Sequencing.com. Allows the app to access and receive user-specific files that are securely stored in the user's Sequencing.com account. Once your app has the API access token, you can start making API calls using App Chains. 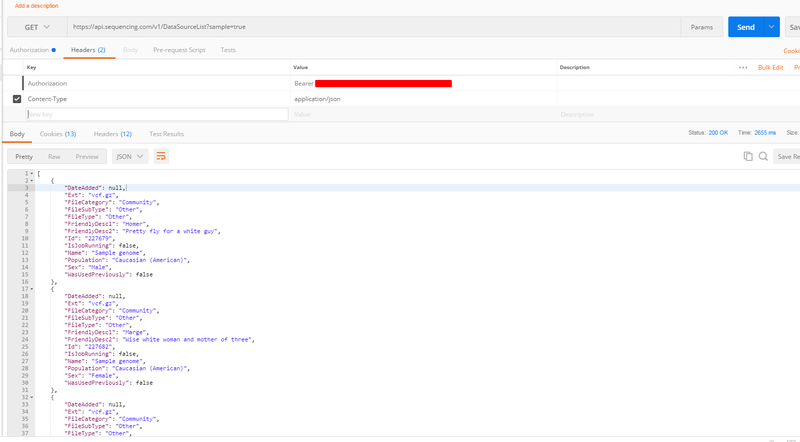 Send the authentication token within the authentication header and Sequencing.com's API will handle the token. *The genetic data for Ugg is from an actual caveman whose DNA was extracted from a frozen bone discovered by scientists. Scientists, however, haven't yet acquired the actual genetic data for Homer Simpson but we've made a close match. 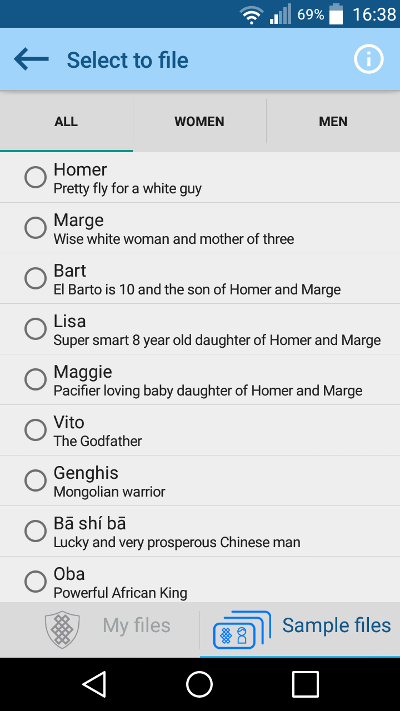 Homer's sample file is the genome of a white dude from Utah who is married with children. App Chains are the easy way to code Real Time Personalization (RTP) into your app. App chains allows you to personalize your app and provide a genetically tailored user experience. 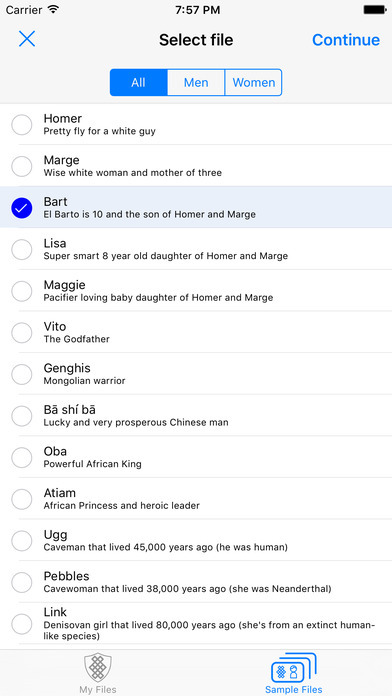 Your app can now understand and treat each app user as the unique individual they are. App chains are designed by coders, for coders. They are easy to use and quick to implement. You don't have to know anything about the genetics or the genetic code. To use app chains and add RTP to your app, all you need to know is the software code you use everyday. While there are already app chains to personalize most apps, if you need something but don't see an app chain for it, tell us! (ie email us: [email protected]). You just need to pick code from our repository and drop it into your project. This section contains language specific APIs description for AppChains. In order to use AppChains API, you need to obtain OAuth token first. For all details please check here. If you are interested in how our HTTP API for AppChain API work, please see details below. Header that allows to authenticate your request to Sequencing.com systems. 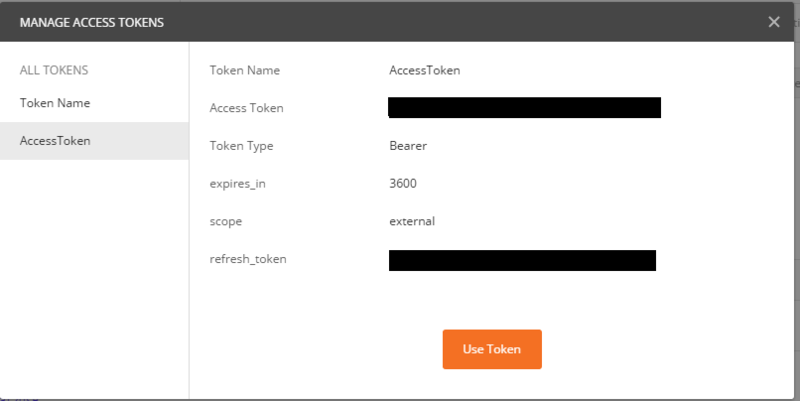 Where "your_access_token" is a token received as a result of OAuth2 authentication. Check here for more details. For requesting single AppChain one object should be passed with Name value "dataSourceId" and Value which is genetic file identifier. This identifier could be taken from File Selector API response. For more details check here (see "Response specification", field "Id"). 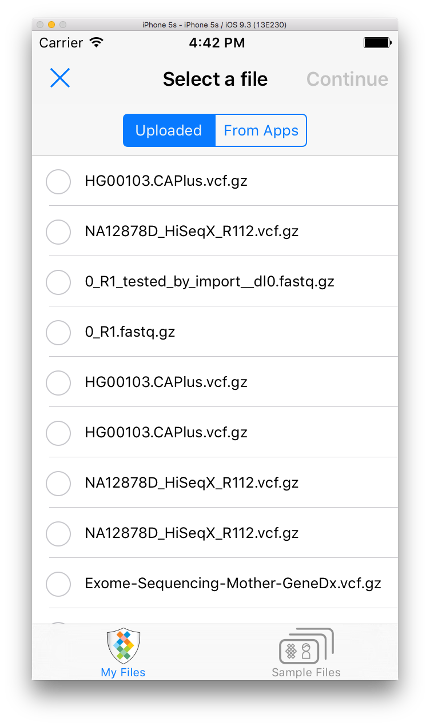 File with ID 227679 corresponds to sample genome available to all users "Homer (Sequencing.com Sample Genome)"
This endpoint may reply with App Chain result, however in case more time needed for processing, you will have to call "GetAppResults" endpoint for checking results. Results are represented as array of ItemDataValue objects (see description below). May be empty/not set in case results are not ready yet. In this case you need to poll "GetAppResults" endpoint until result is available. See below for the endpoint details. 5 Type string yes Result property type. 1 CompletedSuccesfully boolean yes Points on whether App Chain job succeeded or not. 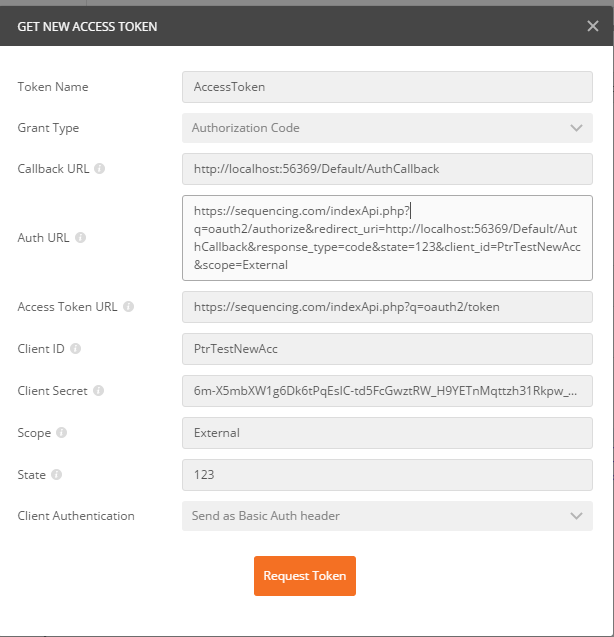 Where "your_access_token" is a token received as a result of OAuth2 authentication. App Chain job unique identifier (identifies particular App Chain job). Should be taken from the "StartApp" endpoint response. curl -X GET -H "Authorization: Bearer your_access_token" "https://api.sequencing.com/v2/GetAppResults?idJob=425643"
curl -X GET -H "Authorization: Bearer your_access_token" "https://api.sequencing.com/v2/GetReportFile?idJob=425643"
Same as in section 1.1.1. Array of objects of ChainRequest type. See below. 1 N/A BatchChainResult yes Array of BatchChainResult objects. See details below. Array of App Chain job unique identifiers that identifies particular App Chain job. Sequencing.com's Real-Time Personalization® (+RTP) API is available via Nuget to facilitate using Visual Studio to add +RTP into C#/.NET apps. 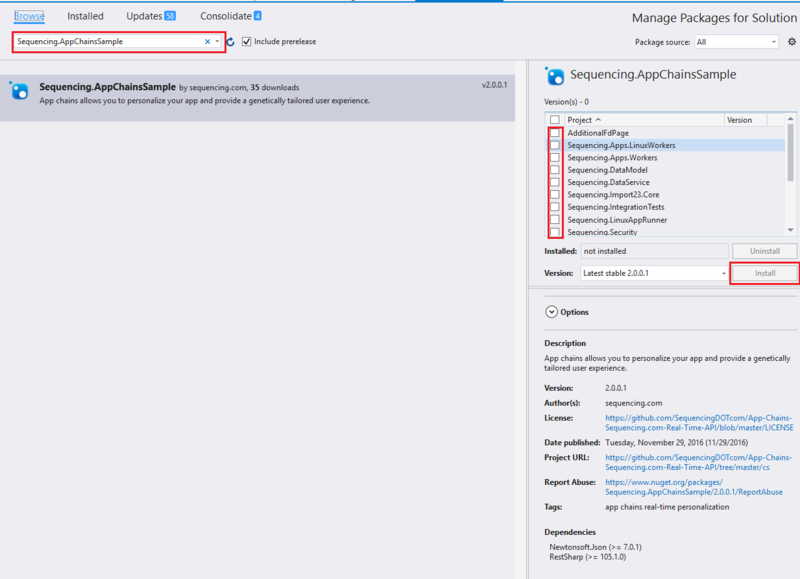 Select "Manage NuGet Packages for Solution"
Select 'Browse' tab and enter package name "Sequencing.AppChainsSample"
Sequencing.com's A-Team (App-Team) is here to help. Please submit a Support Request. Sequencing.com has already everything to simplify integration of AppChains API into your Java based project. 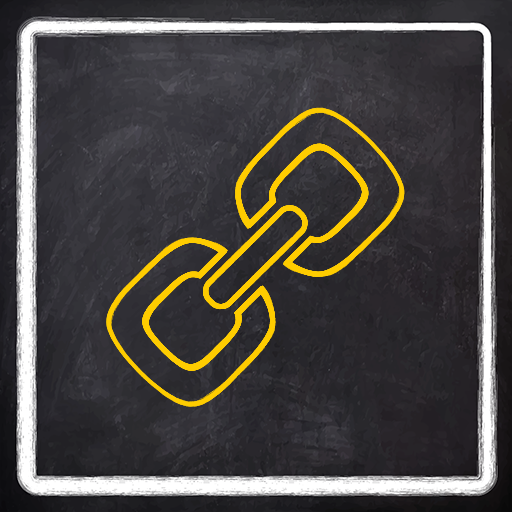 Add imports to your class (import com.sequencing.appchains.AppChains.*). Sequencing.com has already everything to simplify integration of AppChains API into your Objective-C based project. success - callback executed on success operation, results with array of dictionaries. Sequencing.com has already everything to simplify integration of AppChains API into your Perl based project. In order to integrate it, get code from our GitHub repository and paste it into your project. Code is Perl 5.10 compatible and is OO based. 1st arg - REST endpoint name, use "StartApp"
1st arg - REST endpoint name, use "StartAppBatch"
Add AppChains.pm into your source folder and import AppChains in your Perl file (use AppChains;). Sequencing.com has already everything to simplify integration of AppChains API into your Python based project. In order to integrate it, get code from our GitHub repository and paste it into your project. Code is Python 2.7 compatible. remote_method_name - REST endpoint name, use "StartApp"
source_id - input data file identifier. Can be acquired through FileSelector usage. remote_method_name - REST endpoint name, use "StartAppBatch"
Add AppChains.py into your source folder and import AppChains (from AppChains import AppChains) in your Python file. 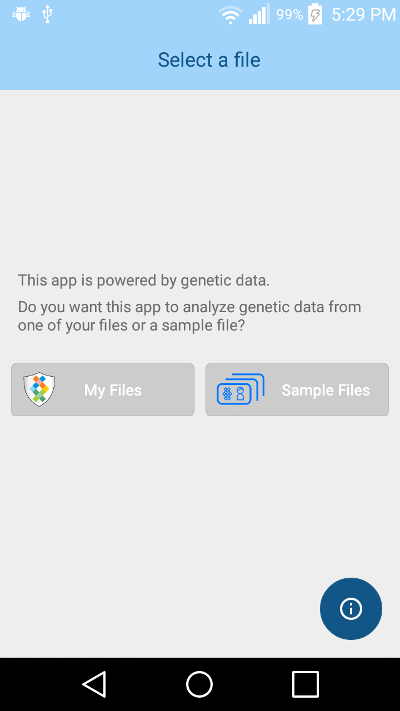 Using this API, apps will have the ability to retrieve information about the genetic data files from the app user's Sequencing.com account. Retrieved information contains also a file identifiers which may be used for AppChains and AppMarket APIs when building your own applications. This API is represented by single endpoint, please find all details below. If you are interested on how File selector API works, please see protocol specification below. Where "authorization_token" is a token received as a result of OAuth2 authentication. Check here for more details. 2 uploaded string true no Requests files to be returned for "My uploaded files"
3 shared string true no Requests files to be returned for "Files shared with me"
4 fromApps string true no Requests files to be returned for "Files saved from my apps"
Any combination of request parameters parameters is allowed and there should be at least one specified. Could take values "Uploaded", "Community", "FromApps"
5 FileType string yes File type. Could be "Sequence", "Other"
curl -H "Authorization: Bearer authorization_token" "https://api.sequencing.com/DataSourceList?all=true"
Here we will show how to quickly integrate Sequencing File selector harnesses into your Android based application. In order to complete integration follow instructions below. Implement integration as per these instructions. 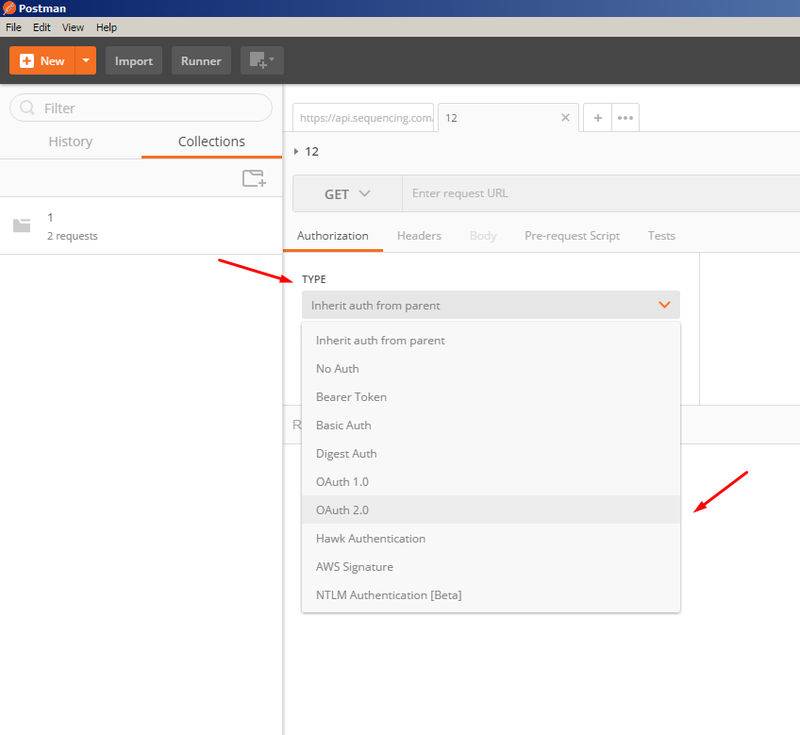 5) Register your file selection handler by invoking selectFile method with stored SequencingOAuth2Client and callback. This will also start file selection process. 6) When user selects any file and clics on "Continue" button in UI will be invoked user ISQFileCallback implementation and passed to him FileEntity object and current file selector activity. FileEntity is a Java bean with the structure described here. You can just clone it and by setting OAuth2 token get working your project quickly. Make sure to pass token instead of "insert-your-oauth2-access-token-here" placeholder. Here we will show how to quickly integrate Sequencing File selector harnesses into your Objective-C based application. Refer to the appropriate guide. When user selects any file and clicks on "Continue" button in UI - selectedGeneticFile: method from SQFileSelectorProtocol will be called then. Selected file will be passed there as a parameter. In this method you may handle selected file. 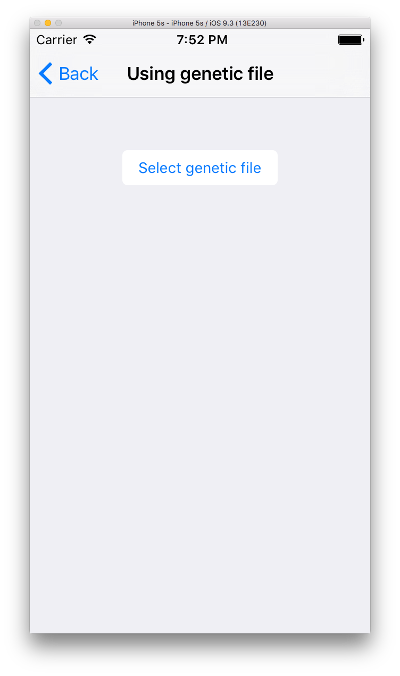 Here we will show how to quickly integrate Sequencing File selector harnesses into your Swift based application.